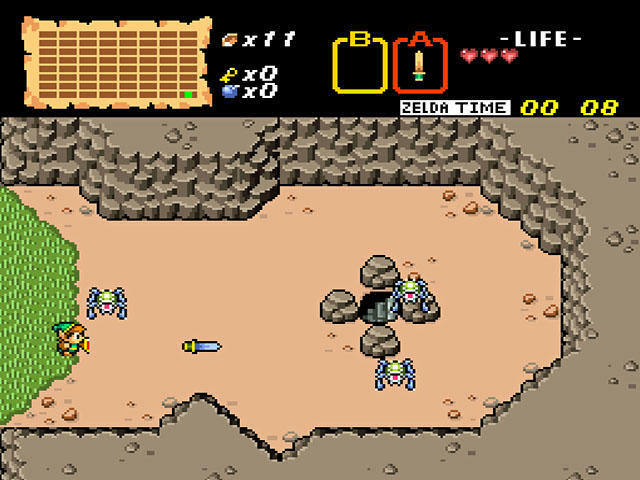 The BS Legend of Zelda series, "BS" standing for "broadcast satellite," has always been a tricky project to recreate as faithfully as possible to how they were originally envisioned. This sub-series was originally released in Japan on the Super Famicom but could only be accessed through Nintendo's experimental Satellaview program. ROMs have existed for some time, but simply playing the adventure does not recreate the full experience. The problem is that the games were broadcast directly into the consoles through a satellite connection, and players were tasked with following live in-game instructions to the next objective. Naturally, this setup creates two issues that always proved difficult in making the experience as authentic as possible. One: a recording of the original broadcasts needed to be found and adapted into a ROM, and two: these broadcasts must be translated into English for non-Japanese fans to understand. And thanks to a dedicated group of fans, solutions to both have been achieved. Members at the BS Zelda fansite have cracked the system and created the most authentic recreation of the broadcasts to date, using old VHS recordings no less, as well as dubbed them in English for non-Japanese speaking Legend of Zelda fans. BS The Legend of Zelda can finally be experienced by curious fans throughout the entire world. Just goes to show that not all emulation is evil. Without projects like these, we would never be able to relive these experiences, and Nintendo's shortly lived idea would have been lost forever.